Waking up in the morning and a sip of tea, perhaps it is one of the most rejuvenating experiences one can imagine and with Assam tea, refreshment will only enhance. Famed worldwide for the captive taste of its tea, Assam is world’s largest tea-plantation area. 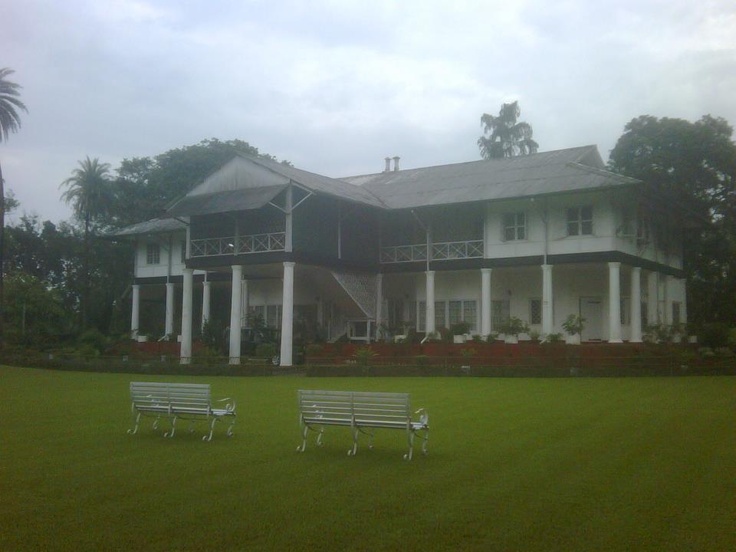 The tea gardens add further charm to Assam’s already picturesque panorama. Tea is an integral part of the amiable Assamese people as well as world. People start their day with a steaming cup of brew and take it in a regular interval for refreshing mood. In Assam, the traditional way to taste the brew is in Bell Matel Bowl called “Banbati”. Well, Assam can easily boast of several enchanting old world tea bungalows with beautifully manicured lawns set amidst lush and tranquil tea estates. The tea bungalows are built by British planters in the 1800s, the property comprises a three-bedroom heritage bungalow and three smaller bungalows. The low-slung bungalows, embroidered at its fringes with a sizeable lawn, lies partly in the shade of a scattering of trees. The sun-seared green roof crouches protectively over the wraparound verandah cocooning walls painted ivory. A netted sit-out — where you can hang out to gossip, read, watch the seasons turn — is cheery, with a smattering of white cane chairs and panoramic views of the tea bushes leaning deep into the horizon. A small TV beckons from bookshelves surprisingly free of books. In winter, the blaze from the fireplace warms the room, making a cozy hideaway to drink up a book or a cup of hot chocolate. The large bedroom immediately off the drawing room features a double bed, cupboards and old-fashioned dressing table, all painted white. The spacious bathroom contains a gleaming tub. The bungalow has its own kitchen where scrumptious food is prepared with whole lots of love and served by a squadron of helpers. The gambling monkeys plays peek a boo through the day, in search for leftover food and striking gadgets. Just keep your stuffs safely when you are out!! The pace of life in the garden is a discipline one. A routine is fixed for the tea pickers and managers. So what travelers can explore in the tea gardens of Assam is quite known now. Basically travelers can explore places of historical and green natural beauty besides getting a first-hand experience of the culture and life the local population leads. Take a tour of the garden and watch the tea pickers, visit the nearby village of the tea pickers. And if you are there on a Saturday definitely got the weekly market! Exquisite and incredibly silent tea gardens are bliss for eyes. These are mainly located in the upper Assam and southern Barak Valley region. Enjoy the lush greenery of the undulating tea gardens on both sides of the highway while driving to different tea gardens is an exhilarating sightseeing. So, just pack your bags for a tranquil trip to the tea gardens of Assam.